One vaccine used in Europe during the 2009 swine flu pandemic was linked to rare cases of a baffling side effect - the sleep disorder narcolepsy. Now new research offers a clue to what happened. The vaccine Pandemrix never was used in the United States, and was pulled off the market abroad, but reports of narcolepsy in Finland and several other countries sparked questions globally about flu shot safety. On Wednesday, an international team of researchers reported the problem may have been a case of mistaken identity by the immune system. Narcolepsy is an incurable disorder that interferes with normal sleep cycles, leaving people chronically sleepy during the daytime and apt to abruptly fall asleep. No one knows what causes it, although patients have very low levels of a brain chemical named hypocretin that's important for wakefulness. One theory is that a particular gene variant makes people susceptible, and that some environmental trigger, maybe an infection, pushes them over the edge. About a year after mass vaccinations began against a new strain of H1N1 flu, called swine flu at the time, some European countries reported rare cases of narcolepsy in recipients of GlaxoSmithKline's Pandemrix but not in people given other flu vaccines. Research found narcolepsy patients had that genetic predisposition, but no other explanation. In the new study, Dr. Lawrence Steinman of Stanford University and colleagues found that the H1N1 virus contains a protein that is structurally similar to part of a brain cell receptor for that wakefulness chemical. They wondered if the flu-fighting antibodies generated by the Pandemrix vaccine might also latch onto those narcolepsy-linked receptors, leading to damage. Colleagues in Finland sent blood samples that had been stored from 20 people diagnosed with vaccine-associated narcolepsy. Sure enough, 17 harbored antibodies capable of reacting both to flu and to those narcolepsy-linked receptors, Steinman's team reported in the journal Science Translational Medicine. Recipients of another European vaccine, Novartis' Focetria, didn't harbor those cross-reactive antibodies. 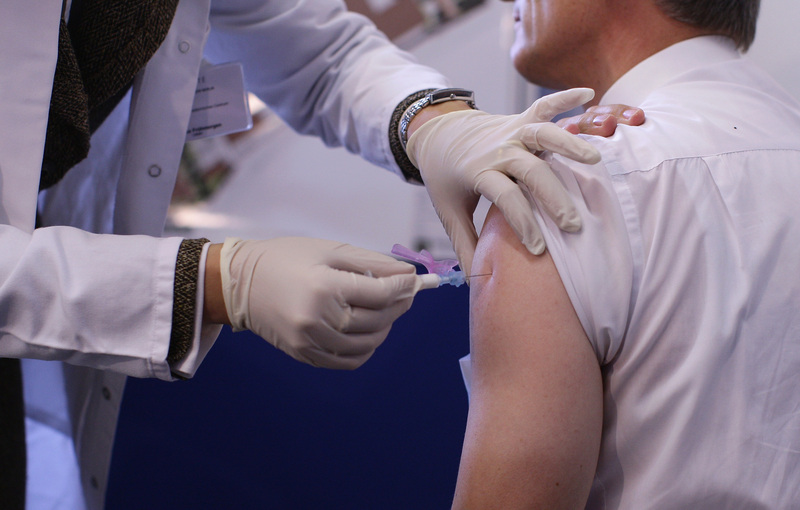 Pandemrix contained much higher levels of the flu protein than Focetria, possibly because the two flu shots were made from different H1N1 subtypes, the researchers found. The study doesn't prove the link, Steinman stressed, calling for more research. It's not clear how the antibodies could have gotten into the brain. Moreover, some unvaccinated people who caught the flu harbor the antibodies, too, he said, and a study from China found H1N1 infection itself may increase narcolepsy risk. It's a plausible theory, said Dr. William Schaffner, a flu vaccine expert at Vanderbilt University who wasn't involved in the new research. Importantly, "this would also appear to be a solvable problem," with manufacturing techniques to ensure that future vaccines don't contain too much cross-reactive protein, he said. However the narcolepsy puzzle turns out, the flu kills tens of thousands of people every year. "It's really important to get vaccinated against flu," Steinman said. © 2015 The Associated Press. All Rights Reserved. This material may not be published, broadcast, rewritten, or redistributed. Before hitting the golf course at his Florida resort, President Trump took another swing at what he called the "crazy Mueller report." He claimed some statements made about him were only give to make him look bad. Weijia Jiang reports. A storm system that has already created a wave of problems is heading into the weekend. Flash flooding, damaging winds and tornadoes have been reported. Omar Villafranca has the latest.